Earn $1.04 in VIP credit (104 points)What's This? 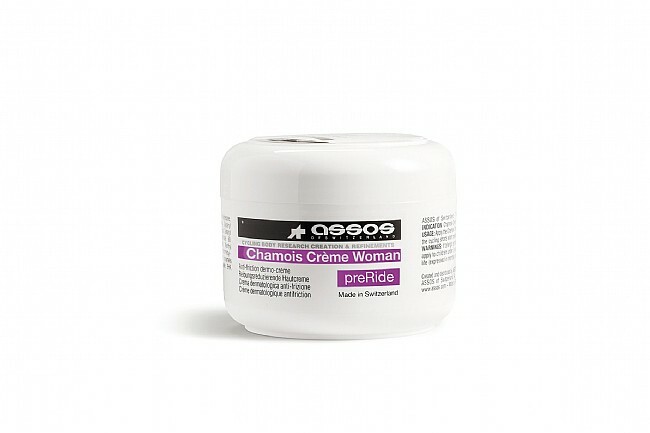 Beloved of pros and recreational riders alike, Assos Chamois Creme Woman softens the chamois and prevents chafing. Formulated from natural extracts to protect skin and prevent bacterial build up. The non-greasy and non-staining smooth white cream easily washes out in the laundry. Can be used with natural and synthetic chamois. 75 ml jar.